Anita Blanton anchors WAVY News at 5pm, 6pm, and 11pm as well as WAVY News 10 at 10pm on FOX43. 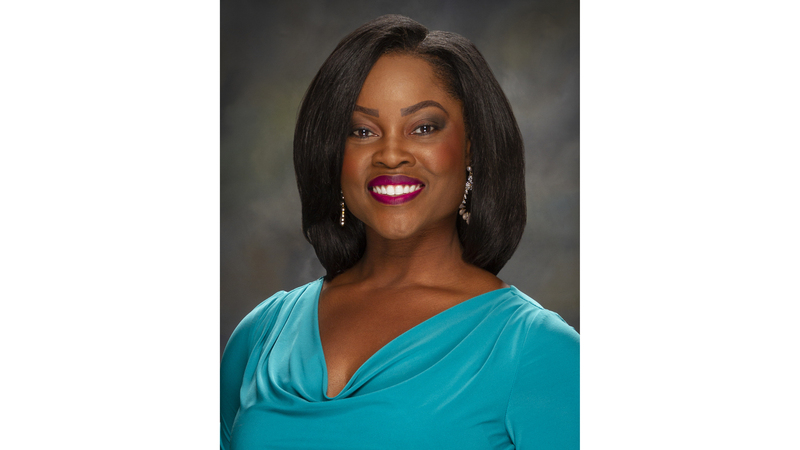 She is an award-winning journalist who joined the WAVY-TV10/WVBT FOX43 family from KOCO-TV in Oklahoma City, OK where she served as morning anchor for four years. She began her journalism career as a reporter at KTXS-TV in Abilene, Texas, before heading to Central Texas to work at KWTX-TV in Waco and WRIC-TV in Richmond, VA.
All-in-all Anita thrives on reporting the big story for her viewers. Some of the most memorable reporting of her career has involved severe weather. She’s chased tornadoes, anchored wall-to-wall coverage during two blizzards and delivered live reports during one of the worst fire seasons in Texas history. While in Texas, Anita frequently covered President George W. Bush and visiting world leaders in Crawford, TX. Here in Virginia she was part of team coverage of several high profile stories, including the tragic shootings at Virginia Tech University. And Anita field anchored annual coverage from the site of the Oklahoma City Bombing on that tragic event’s anniversary for three years. Anita is a proud alumna of Hampton University in Hampton, VA (a former Miss Hampton University). Go Pirates! She earned a Bachelor of Arts degree in Broadcast Journalism and Political Science from the Scripps Howard School of Journalism and Communications. And she was named to the inaugural Top 40 Under 40 Class of Alumni. Anita has won numerous awards from the Society of Professional Journalists and the Associated Press for her work as an anchor and reporter. She’s also received several community service awards including a citation signed by the Governor of Oklahoma for her dedication to giving back and a Silver Star Legacy Award from the Urban League of Hampton Roads. She’s volunteered, served as a spokesperson, and sat on boards for several organizations as well as helping to create mentoring groups for pre-teens and teens. And Anita’s a fitness enthusiast certified as a personal trainer with a deep love for music, having been selected to sing the National Anthem for the Oklahoma City Thunder NBA team for two years. Anita is a member of the National Association of Black Journalists and Delta Sigma Theta Sorority, Inc.